I am not a plotter. This is no secret if you know me or have read any of my blog posts. My stories start with characters, and the plot comes along as I go. In the past, I’ve maintained that plotting stifles creativity in my case. But I want to go on record and amend this statement. It’s all the time wasted banging my head on the keyboard wondering what to write next that stifles my creativity. For the first time in the history of my life, I’ve discovered a plotting book that doesn’t make my eyes glaze over after the first chapter. In fact, I'm almost finished! Character studies. I wrote an entire blog post on what goes into this process for me not too long ago, but to sum up, I learn about their quirks, deepest desires, the ways they sabotage themselves, and what sets them apart as people I’d enjoy talking to over a slice of pizza. Plot threads. Hopefully in the above step, I’ve learned at least the gist of what my main characters will learn and how they’ll grow throughout the story (the heart of the manuscript!). So my next step is to write out a shortish sort of synopsis for each of my storylines -- as much as I know about them already, anyway. For example, continuing the theme of Pepper’s post yesterday, if I were doing this for the Lord of the Rings series, I’d have one “synopsis” for the ring’s journey from Bag End to Mordor, one for Aragorn’s ascent to king, one for the Battle of Helm’s Deep, one for Aragorn and Arwen’s love story, etc. It sounds complicated, but it really helps. I think having a map like this up front will show me what to focus on and how to most effectively strengthen each plotline (and consequently each main character's journey) in relation to the others. Scenes. From there, I can separate the sequential events of the synopsis into bullet points and then imagine specific scenes to flesh out these bullet points and further my story. For this step, I will likely stick to my pantser roots and write as I go. But having the map shaped in the previous steps will help me keep my characters on track and hopefully give me purpose for each writing session. 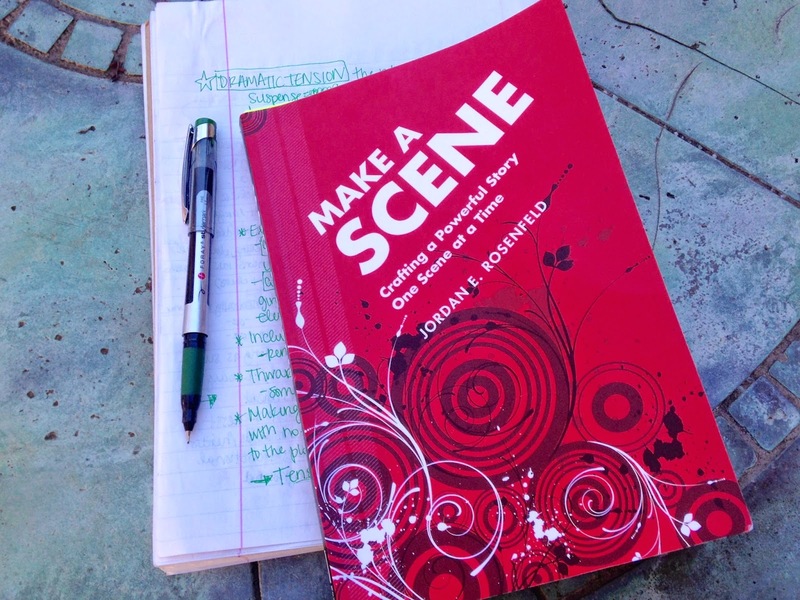 I can’t emphasize how much the Make a Scene book has helped me in terms of being intentional/impactful with each scene! So that’s the tentative plan for how this pantser is going to try her hand at plotting. I have all the essentials to make this work. Now to stop planning and WRITE. Hopefully word count will be spared, the delete button will get a rest, and any unnecessary *facepalm* moments will be avoided. Are you a plotter, pantser, or as Casey calls it, a hybrid "plotster"? Any tips or tricks that have worked for you? 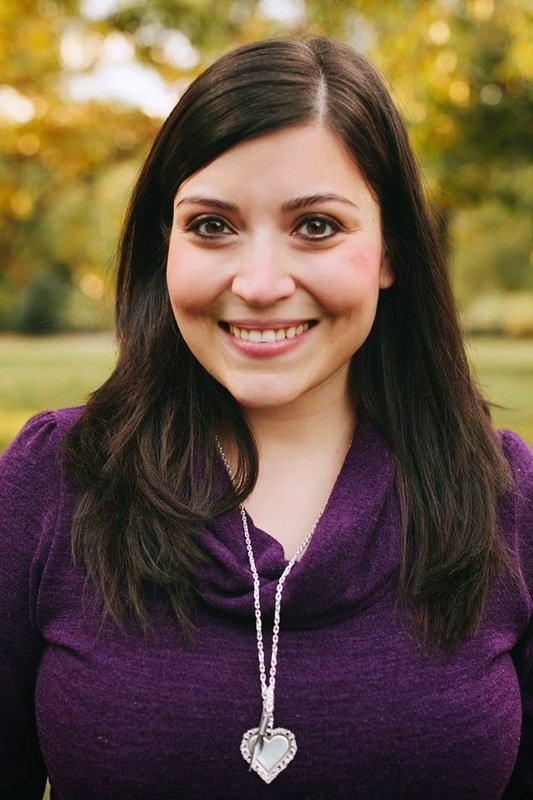 Laurie Tomlinson is a wife and mom from Tulsa, Oklahoma, who enjoys stories of grace in the beautiful mess. She is a member of the American Christian Fiction Writers and received the Genesis Award in 2013 (Contemporary) and 2014 (Romance). Heaven knows I am the worst kind of pantster. Like you, though, Laurie, scenes come to me like movie clips. Definitely going to check out this book! Thanks! I'm a complete pantster. Just like you, Laurie, planning it out kills creativity. I've even found that interviewing my characters is a bad move. It forces them to be something that might not be natural to the story, and then I follow that character outline instead of deciding what I need as I go. What works for me is to be very intentional about what will happen in each scene before I write it--who is in it, where it is, the purpose of it, what 1 to 3 big things will happen in it. There's no ramble writing to find out what happens. I don't write a scene unless I know what's going to happen in it. And I make sure to not let my POV character think everything but say a lot of what she's thinking, which ups conflict. Almost every time, someone will say something I didn't expect which will lead me to the next scene. It's so fun. And terrifying. And mostly fun. Totally awesome, Laurie! Ready to dust off my writers brain and get Crackin!!! I need this book! I'm a total pantser too and have never written anything long enough to learn how to plot. That's a goal for this year. Thanks for the great post. I'm a pantser too, Laurie (funny, spell check changed that to panther at first, no I'm not a panther). Anyway, I'm a suspense writer so I have to have some sort of outline. Even so, I end up with a lot of revision. I would love to be a better plotter (more efficient at least) so I'm going to check out this book. Thanks. Pantster. When I try to plot I end up staring into the great white page. I like the idea of creating plot threads. But how do you write a synopsis with out a plot? I lean much farther to the side of pantser, but like Casey--I need a very rough, bare-bones outline time-line thingy. In all seriousness, Laurie, this post was SUCH a help as I figure out the sequel to my most recently finished WIP. @Jennifer + Glynis + Emily - Pantsers unite! Yay for new pantser friends :) Hope this book helps you as much as it helped me! @Sally B - Excellent tips from an excellent writer! @Amy - Let's do it! @Southpaw - Good question! I think I figure out a basic point A to point B and then figure out what happens to my characters based on what I learn about them. What they would do in this situation? What could happen that would put them in distress? What is the worst possible thing that could happen to them right now? How would he/she get out of this predicament? And the ideas for their different journeys/storylines come from there. Love this, Laurie!!! I've never heard of that plotting book before but it sounds like one I could handle. I often see scenes in my head like movie clips too- that's why lots of times I write my books out of sequence, because I write what I "see ". And it's character driven. Laurie, great post! I'm like you... I swore by panster-ing, and that's actually how I was taught to write! But what made the difference for me was when I started having to write synopses on books I hadn't yet written to submit with proposals. Yikes! After doing that a few times, though, I realized how much energy I was wasting by not having the basics down before jumping into a big project. I'll have to check out this book! I totally get that. Especially as moms, we need to guard our writing time and make it as productive as possible! Thank you so much for writing about my book, and I am beyond thrilled that it helped you. I'm working on a sequel, of sorts, co-written with Martha Alderson "The Plot Whisperer" which is due out in Fall of this year, called Deep Scenes. I am also a reformed panster and yes, it was the head-banging that did the trick. I have that book and MANY more. They are very helpful and have resulted in a lot less writing headaches. Thanks for the book suggestion. I'm a plotter. This might help make sure I'm on the right track. Caffeine is a definite must! LOL on the "panther" comment above. Yup, not that. But I do a rough outline of the climactic scenes based on chapters. So...outliner, I think. But characters do drive the story and sometimes surprise me. For my mystery, however, I did wind up figuring out my scenes more ahead of time. This book sounds like a good one! You know, I'm a newbie writer myself, and I'm pretty much just crawling out of the "pants-write horrible fiction and not worry about how terrible it is" stage. But like you, I invariably end up starting with my characters -- and also like you, most of my insight comes in terms of little clips. Definitely going to be looking into this book, though. Thank you!